What are the Best Tips for Cleaning Downspouts? A home's downspout diverts water away from the gutter system. 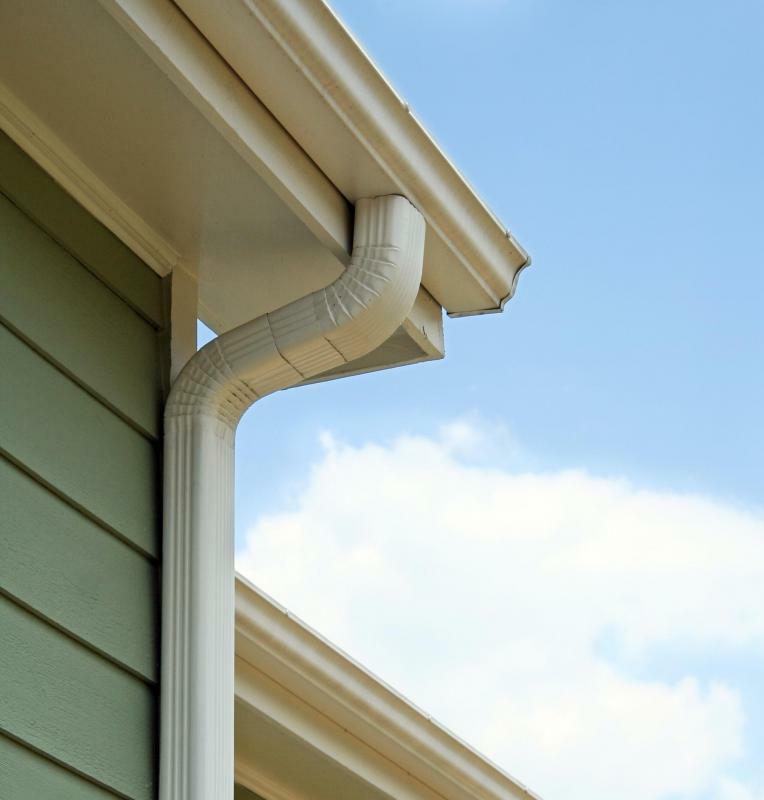 Rain gutters must be cleaned out regularly so downspouts don't get clogged. 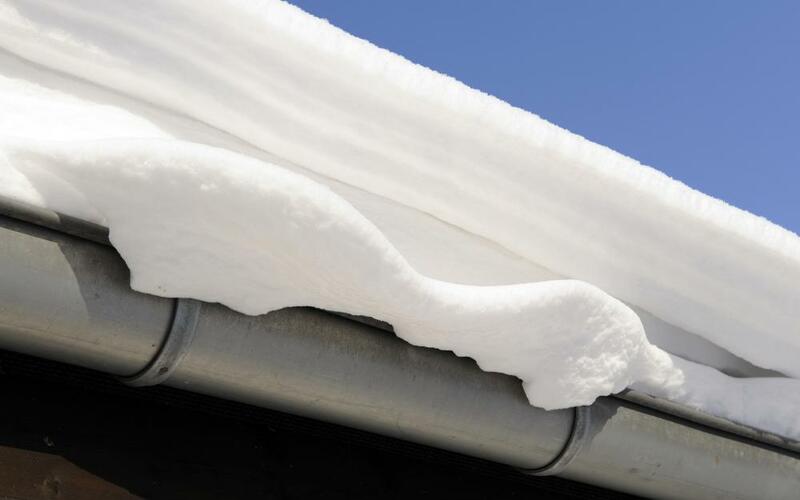 Open gutters can be clogged by snow which can prevent downsprouts from functioning properly. A downspout is the vertical pipe that is connected to the end of a gutter on a house. This pipe is sometimes called a leader, and it carries rainwater from the gutters to the ground. The water can then be collected in a rain barrel, directed into a sewer, or spilled right onto the ground. According to home improvement experts, properly cleaning downspouts is an important part of home maintenance. Cleaning downspouts can be done with a garden hose, a plumbing snake, or by hand. Some tips to keep downspouts clean include cleaning out gutters in the late fall, after leaves have fallen, and again in the spring to prepare for spring and summer rains; using the pressure from a garden hose to force out any minor clogs; and using screens or strainers to help prevent clogs. Maintaining and cleaning downspouts and gutters not only keeps a home neat and clean, but it can also prevent some costly repairs. Downspouts are designed to take water away from a home. If they are not clear, the water can back up into the gutters. Since the water can't go down the downspout, it can build up in the gutters and flow over the sides. Over time, this water can cause problems, such as rotted wood, water damage, and even foundation damage. Downspouts and gutters should be cleaned at least once a year, but many experts agree that it should be done twice a year. A cleaning once a year in late fall, after most of the leaves have fallen, can help prevent clogs. This gets rid of dead leaves that have fallen and other debris. Some homeowners may also want to clean them in the spring or summer. This can help lesson the work load in the fall, and help catch clogs early to prevent damage. After the gutters have been cleared of any leaves and other debris, cleaning downspouts is the next step. Determining whether or not a downspout is clogged can be done with a garden hose. When the nozzle of a hose is inserted part of the way into the downspout and turned on, water should run out the bottom. If the water is not pouring out of the bottom of the downspout or it runs out slowly, this is a good indication of a clog. Cleaning out the clog in the downspout can also be done using a garden hose. Gently inserting the hose from the top of the downspout and turning it on full blast should do the trick. The pressure of the water can usually clear out a clog, if it isn't too bad. Some homeowners may use a pressure washer for this job, but this isn't usually recommended. The pressure washer can make a nasty mess to clean up, and it may cause damage to the downspout. If the clog can not be cleared using a garden hose, a plumber's snake can be used. The snake can be inserted into the downspout and worked until the clog is loosened or removed completely. Flushing the downspouts with a garden hose can help remove any debris left behind. Some clogs can be relatively hard to remove when cleaning downspouts. If a garden hose or a plumber's snake did not work, the downspout may have to be disassembled to get to the clog. Some downspouts are held together by screws, but many simply pull apart at the bends. After the downspout is taken apart, the clog should be able to be pulled out manually. Preventing clogs in gutters and downspouts makes cleaning them much easier. 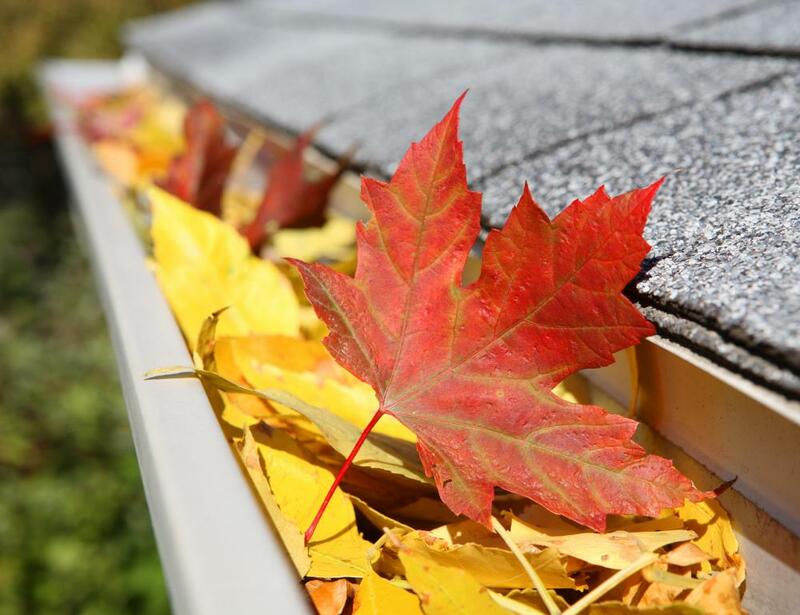 Keeping trees and shrubs trimmed and away from gutters can help prevent leaves and other debris from getting into the downspouts. Screens and strainers can also be put over gutters and downspout entrances. These allow water to pass into the gutters, but they keep debris, such as leaves and twigs, from getting into the gutters and downspouts. How Do I Choose the Best Garden Hose Adapter? What is an Underground Downspout? What is a Downspout Diverter? What are the Pros and Cons of Plastic Gutters?